Our guide to San Francisco will help you find the best kid friendly parks in San Francisco California. San Francisco makes it wonderfully easy to tap into the Good Life. Between the hot arts scene, the tempting boutiques, the awesome bay views, and all those stellar, locally focused restaurants and wine bars, it's the perfect place to indulge yourself. There are tons of great kid friendly parks in the city of San Francisco, our city guide will help you find the best kid friendly parks. You may have a hard time deciding what to do in San Francisco, but we make your decision easy. 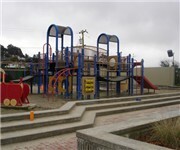 18th Ave & Lake St, (415) 666-7013 - This playground includes a giant game court area, a tennis court, and a tiny but protected sand play area with climbing structures and swings. 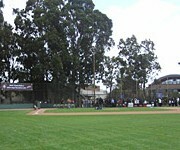 2601 40th Ave, (415) 753-7037 - Offers an afterschool latchkey program and sports programs. 26th St - This large playground includes a pool, a sand play area with climbing structures, a ball field, and game courts. 195 Kiska Rd - This large playground includes an indoor gym, a sand playground with climbing structures, a ball field, and game courts. 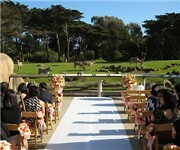 1 Zoo Rd, (415) 753-7119 - San Francisco Zoo is a kid friendly zoo / aquarium located in San Francisco CA. There are plenty more kid friendly parks in San Francisco. 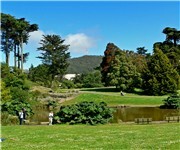 See all kid friendly parks in San Francisco California.